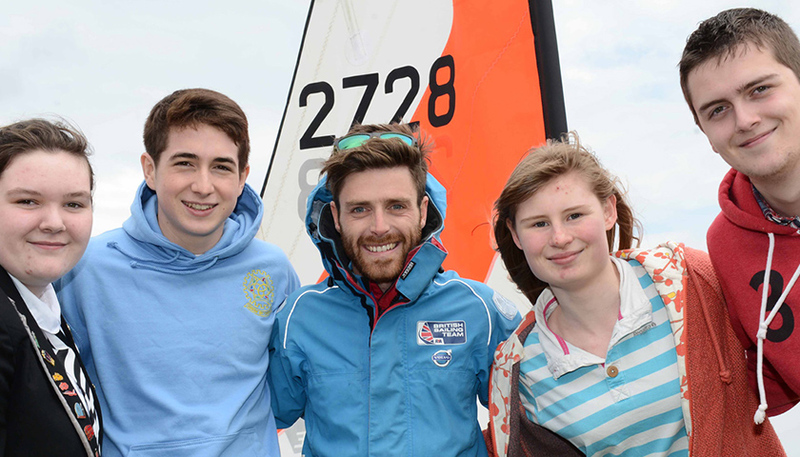 The Andrew Simpson Sailing Foundation is delighted to announce Paul Goodison, Stevie Morrison and Bryony Shaw as its first official Ambassadors. The trio competed alongside Andrew as members of Team GB at the Beijing Olympics in 2008 and the London 2012 Olympic Games. 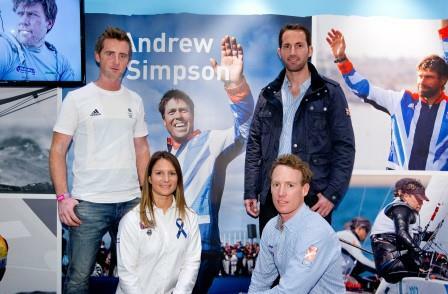 The Ambassadors were announced by Sir Ben Ainslie at the London Boat Show at Excel, 8th January on the Andrew Simpson Sailing Foundation stand. The Ambassadors will be supporting the work of The Foundation by inspiring the next generation and one of the activities they will be involved with will be visiting schools to encourage children to realize what opportunities there are in sport and what benefits there are, getting involved in sporting activities. The Ambassador’s will become great role models to the communities they will visit and so young people will have Olympians they can look up to. The Foundation will be announcing a number of other ambassadors and details of our plans over the coming months. “Andrew had the ability to inspire you like no one else and always had time to give advice in his own unique way. We were paired as buddies for London 2012 so we had each other’s back, he was always a good listener. I’m delighted to be an ambassador towards his legacy and keep his spirit alive”, Bryony Shaw, Olympic Medallist. Stevie Morrison, Olympian & 49er World Champion explained “Over the course of my 49’er Olympic campaigns Bart was always the go to guy whenever you needed some advice and input into any aspects of your sailing. A pat on the back before a big day of racing would fire you up and send you off ready for battle. I hope by being involved with the Andrew Simpson Sailing Foundation, I can just in a small way make kids new to the sport be as excited by what it has to offer, as Bart would always do for the Olympic Team”. 30, is a two-time Olympian and was the first British woman to win an Olympic windsurfing medal when she won an emotional bronze at Beijing 2008. Sailing in the RS:X class, Shaw also has World and European Championship medals to her name, and was the British Sailing Team and British Olympic Association’s athlete of the year for sailing in 201. She is campaigning to represent Great Britain at the Rio 2016 Olympic Games. 35, is a World and European Champion in the Olympic 49er class, and represented Great Britain at the 2008 and 2012 Olympic Games with long-term crew Ben Rhodes. Morrison’s thirst for Olympic glory continues, and with Rhodes now having retired from Olympic campaigning, Morrison recently teamed up with Chris Grube in a bid for British Sailing Team skiff gold in Rio 2016. 36, has represented Great Britain in the Laser class at the past three Olympic Games, winning gold in 2008 after narrowly missing out on the podium in Athens 2004 where he finished fourth. Injury put paid to the Yorkshireman’s hopes of defending his title at his home Games in 2012, and since then Goodison has been taking a sabbatical from the Laser to race in big boat campaigns including Melges 20 and 32s, RC44s and TP52s. In 2014 he will race as part of Sir Ben Ainslie’s JPMorgan BAR team in the Extreme Sailing Series.